When it comes to fishing, there is nothing like a little challenge. Sure, fishing in general can be challenging enough, but sometimes, you need to go after something different. Steelhead fishing can be challenging, yet very rewarding. However, there are some people that don’t know the difference between a steelhead and any other type of fish. The best way to catch a steelhead is using a variety of tricks and techniques. 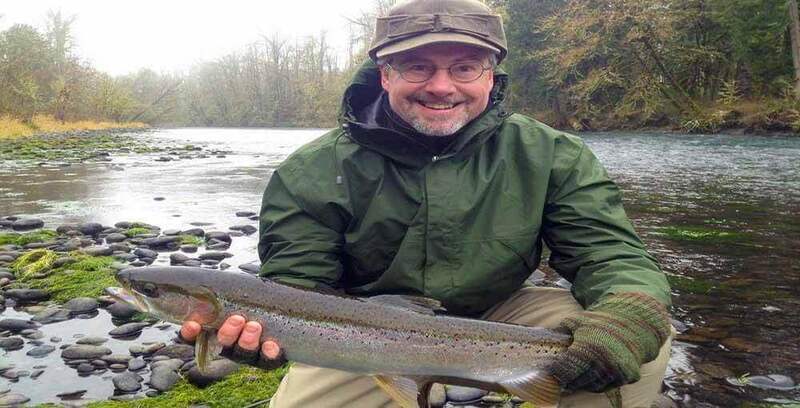 This article will explore what a steelhead is, and how you can catch one using the steelhead fishing tips. After all, if you’re looking for a unique spin on fishing, steelhead fishing is an excellent way to challenge yourself. Steelhead are thought to be salmon, yet this is not true. 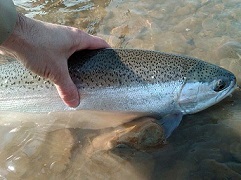 Steelhead is actually a rainbow trout, but once it migrates to the ocean, it becomes a steelhead. Rainbow trout are typically found in rivers, streams, and other moving water ways. The biggest reason why people think that steelhead is salmon is because it is found in the ocean. it’s truly amazing that such a fish can grow up so large. Their dark-olive color coincides with a pink strip down their sides. A fun fact is that each individual fish will grow up to look different from other fish in their family. The ones that escape to the ocean will have a different development, depending on the type of environment they’re in. By this, I mean, find the water that is not going to be part of the river or stream. The water will get too cold for the fish to keep swimming, and they will need to find a place to stay while they warm up. These guts and tail-out pools provide a place where the steelhead can gather and warm up. Anywhere the water slows down beneath a riffle is also a good place to hole up. You can use these little pockets to drop your line, and see what comes up. Hey, you never know if one of them is hungry enough to try and catch a quick meal. When you’re out in the water, and it is quite dirty, you want to use more subtle tactics to catch a steelhead. You want to wade slowly through the water, and keep your casts short. Since you can’t see what’s in the dirty water, you can get snagged easily. The shorter casts will allow you to have more control over the line, especially since it’s not going to get caught in the dirty water. Plus, the steelhead are more likely to avoid dirty water when they’re swimming. Just like driving on the highway, people are bound to get hungry, so they’ll look for somewhere quick to eat and get back on the road. Steelhead are no different, but you put a sign out that will get their attention. When the rivers start to rise after a storm, steelhead are going to be on the move. This is prime fishing time, but you need to stay ahead of them to make sure you can snag one. Find an area that forces the steelhead to slow down, allowing them to have a quick look at your line. If you can get their attention, they are more likely to try to grab it as they’re passing. When the water is at its low point, steelhead are going to go into the deeper parts of the water for navigating. Using longer sink-tips can keep your fly deep and help it move slowly. The longer tip is ideal because it will keep your fly in the deeper parts of the water, and makes it move slower. This little trick will do wonders to capture their attention, and will make your cast longer. You can cast out further, and hit a different spot using the longer tip. When you’re reeling in a catch, and the hook breaks, that sinking you’re feeling is devastation. Dull fishing hooks can slip easily out of their mouths, and you’re left wondering what happened while staring at your rod. Stinger style flies work well on steelheads, and even flies rigged as a stinger can do wonders. You should replace your hooks as often as you go fishing. While it is tempting to use a file to try to sharpen your hooks, the truth is that it won’t be effective. The only thing you’ll accomplish is wasted energy when you can spend the few bucks on a new hook. While you may be tempted to sling your fly around quickly to catch their attention, this action won’t help you. Sure, winter fishing can get become chilling, but you should practice patience. Use your fly slowly, and they will be more tempted to go after it. After you’ve cast your line, let the bait hang out for a little bit to see if that piques any interest. 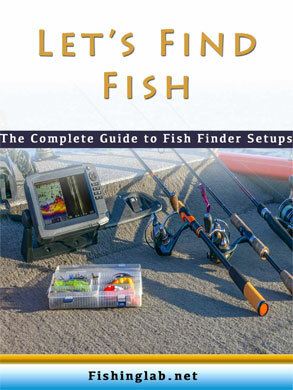 Using different heads can make it easier to find out what the fish are doing, and they may be tempted to go after it. You don’t want to waste any chances you have when they come along. They say insanity is doing the same thing, but expecting different results. It is absolutely true when you’re fishing for steelhead. You should bring a variety of bait with you to help you snag a steelhead. You may need to change some things on the line, as well. The bobbers may be off, the weight may be too much, or they don’t like the scent. Playing around with different types of bait may yield better results, but you won’t know if you’re using the same thing. Talk to any fisherman, and they’ll tell you that you need to get to the water first thing in the morning. However, being a bit late to the party can bring surprising results. Those that have been there in the morning, but have left for work, can prime the fish. If they’re using bait that gets the fishes attention, you may get lucky, especially if you’re using a different bait. The new scents and timing may encourage the steelhead to go after what you’re bringing. So, go ahead and hit that snooze button, you might have better luck than the sun risers. Steelhead fishing is an exciting way to spend an afternoon. You can use different tactics and techniques to find out what would be the best way to catch a fish. The tactics here may work for you, or there may be another tactic you’ve used in the past. No matter how you’re planning on fishing for steelheads, you can find a way to yield more success. It can take some time to find out what would be the best way to catch steelhead, but you should always be patient. After all, you never know what might work, and then you’ll be running off to tell all your friends what you did differently. Make sure you employ these steelhead fishing tips and tricks the next time you’re out on the water. Steehead, and Rainbow Trout are both actually Salmon. check the “new” genus.